Showtime Sports brings you an exclusive look behind the scenes as Adrien Broner and Marcos Maidana each prepare for their anticipated match-up. 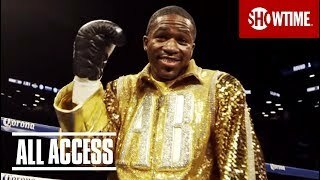 Watch this full episode of All Access: Broner vs. Maidana and be sure to tune in for Broner vs. Maidana December 14 at 8PM ET/5PM PT Live! on Showtime.